We will be CLOSED April 22-24 for maintenance and we will reopen on regular hours Thursday, April 25th. Our dishes are served as family-style and will be sent to your table once they are made, in no particular order. Not all ingredients are listed, please notify the server of any food allergies or sensitivities. ✦: Feeling adventurous? Go to the Jungle! G : gluten free, although certain dishes are fried in the same fryer with dishes containing gluten. V : dishes that can be made vegetarian. Some dishes can be made vegan upon request. Chef Seng was born in Laos and fled the country during the Vietnam War. During her stay at a Thailand refugee camp of Nakhon Phanom, she learned how to cook from her camp neighbors and elders. At the age of twelve, she was the eldest of five and took on the role of caretaker of her four younger siblings in order to support her working mother. In 2009, at the age of 40 she decided to go after her greatest passion, cooking. 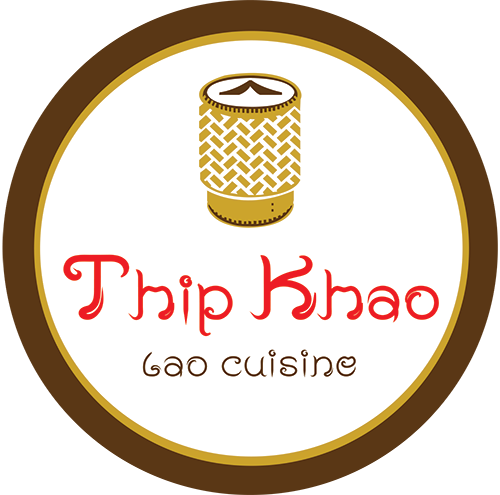 She took over Padaek (previously Bangkok Golden) in 2010 and in 2014, she opened Thip Khao. See More of SENG LUANGRATH’s biography. Bobby Pradachith grew up in Northern Virginia in a Lao household. He felt lost within his family’s culture due to separate upbringings outside of home. As he sought to understand more about his family, he discovered food could help guide his learning journey. The opportunity to study in culinary school and to work under his chef-mother and the tutelages of other Chefs in several restaurants in DC and New York helped guide him, to continue to operate his family’s two restaurants. His sole ambitions are to preserve the integrity of the culture through food and to encourage the Lao-American communities to follow the journey of Lao story telling. He finds old historical contents, recipes, and art to be the inspirations within the menu. See More of BOBBY PRADACHITH’s biography. Lao Food by Chef Seng at Tysons Galleria! Zagat's 30 Under 30 National Honorees - Congrats Chef Bobby!